Contributor DuarteDellarole created this remarkable promotional video showing the Central American country of Belize. He uses a combination of drone, ground, and underwater cameras to capture the distinct vibe of this beautiful country which borders Guatemala and the Yucatan Peninsula of Mexico. Watch it and you'll see why the country has become one of the up and coming destinations of Central America and in fact the entire Caribbean region. 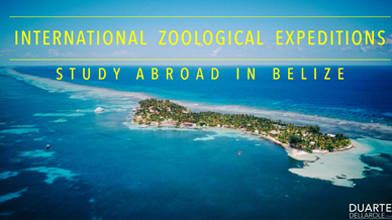 Description: Promotional video for study abroad trips in Belize with International Zoological Expeditions. 🎥 📸 🌎 I'm a travel freelance photographer and videographer working with hotels and tour operators around the world. Feel free to contact me for assignments!